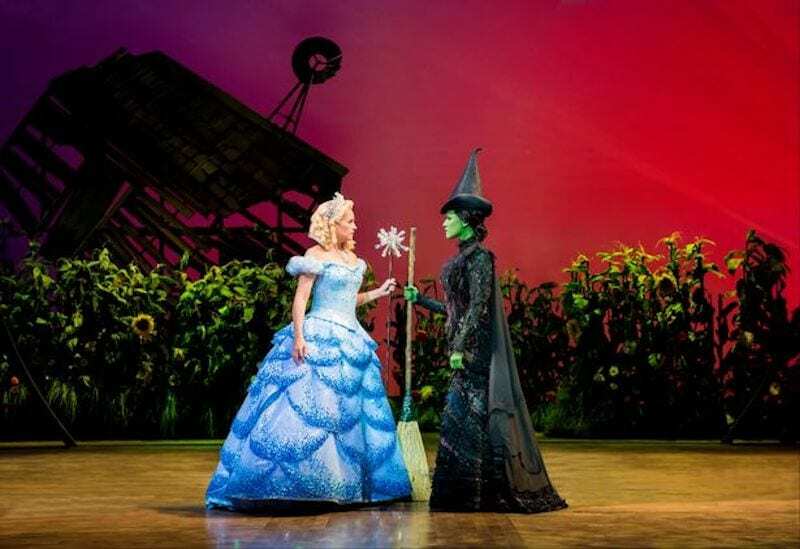 Manchester theatre lovers rejoiced when the arrival of Wicked at the Palace Theatre was announced. The much talked about and multi award winning prequel of the Wizard of Oz proved itself worthy of its acolades. We all know the story of the wonderful wizard of Oz. We have all probably day dreamed about going ‘somewhere over the rainbow’. So when is came to the concept of a prequel to the 1939 classic, it would be reasonable to question why bother? Most people originally frowned upon the idea and had no good expectation for it. However in 1995 Gregory Maguire wrote the acclaimed novel, ‘Wicked: the Life and Times of the Wicked Witch of the West.’ In which he reimagined the land of Oz, giving us the other side of the story. Which in doing that Maguire created a parallel version of the original classic story, written by L. Frank Baum. Maguire’s novel was adapted for stage by Winnie Holtzman. Holtzman reworked the parallel tale into the multi award winning show ‘Wicked’. Featuring show stopping songs written by Academy Award winner Steven Schwartz. Wicked started touring in May 2003. It is already the 14th longest running show in London. It has received two Olivier Audience Awards. Plus it is a three times winner of the ‘WhatsOnStage’ award for ‘Best West End Show’. Wicked The Musical – Tells all. Wicked tells the untold story of the profound friendship between two young women who meet at Shis University as students. Glinda is a very popular and pretty blonde girl. Elphaba is a misunderstood green girl with a desire for good. Following a meeting with The Wonderful Wizard of Oz, their friendship hits a crossroads. Where their lives are forced into taking very different paths. Glinda’s desire for popularity leads to her seduction by power. 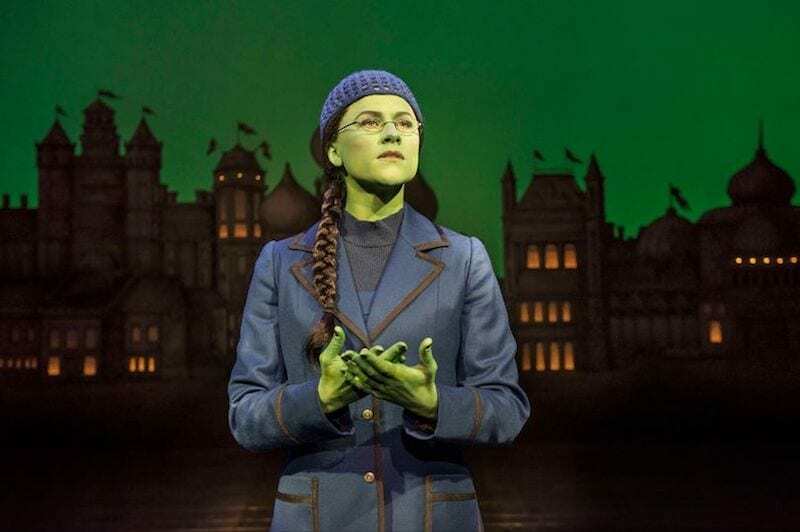 While Elphaba’s determination to remain true to her beliefs and those around her, forces her into a situation which results in her appalling treatment, with shocking consequences. This prequel to the much loved classic tells the tale of two young women’s extraordinary adventures in Oz. Which eventually leads them to fulfil their destinies as The Good Witch and The Wicked Witch of the West. The cast had big red glittery shoes to fill. The original casting of Elphaba was played Idina Menzel. A tough position to fill when you consider the fact she is worldly recognised as a singer. Thanks to her performances of Frozen’s ‘ Let it Go’ and of course Wicked’s original soundtrack. Menzel is also the recipient of well earned Oscars and Tony Awards for her various roles. However, Amy Ross owned the role of Elphaba during her performance on the Palace Theatre stage. Amy’s performance was endearing and believable. The audience became so swept away by her performance, that the fact she was green from head to toe was almost unnoticeable. Her singing and acting was sublime. It is like the role was made for her and no one else would be able to fill it. She is incomparable to Menzel as Amy Ross made this role her own. Good witch – but the character is not quite as good as you remember. 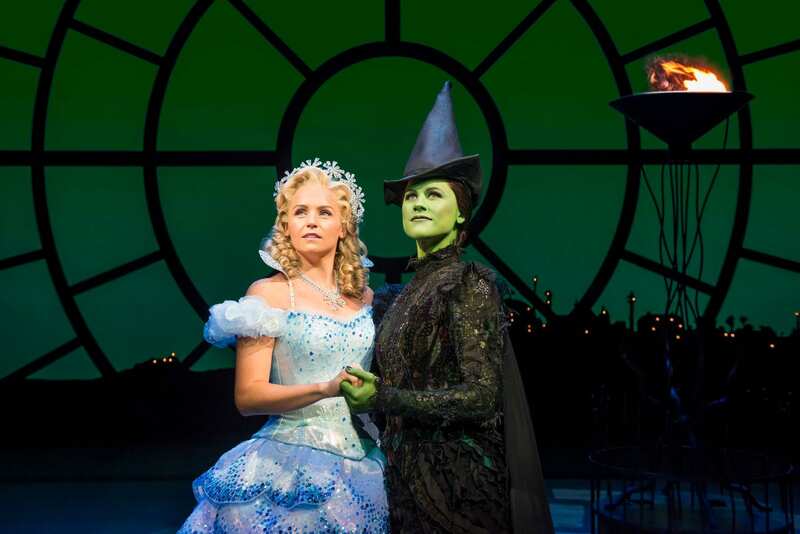 Kristin Chenowerth was cast as the original Glinda. Famed for her comedic roles, she too has earned Tony awards and and Emmy Award. Much like Menzel, when you consider Chenoweth’s career, it is also a big position to fill. As you would expect, the casting director Jim Arnold managed to secure another exceptional actress, Helen Woolf. Helen Woolf opens the show with her wonderful and beautiful singing voice. Showcasing her vocal range almost immediately, in a captivating performance. This tale tends to throw the Good Witch into a light less good and Woolf nails this new spin on the character. 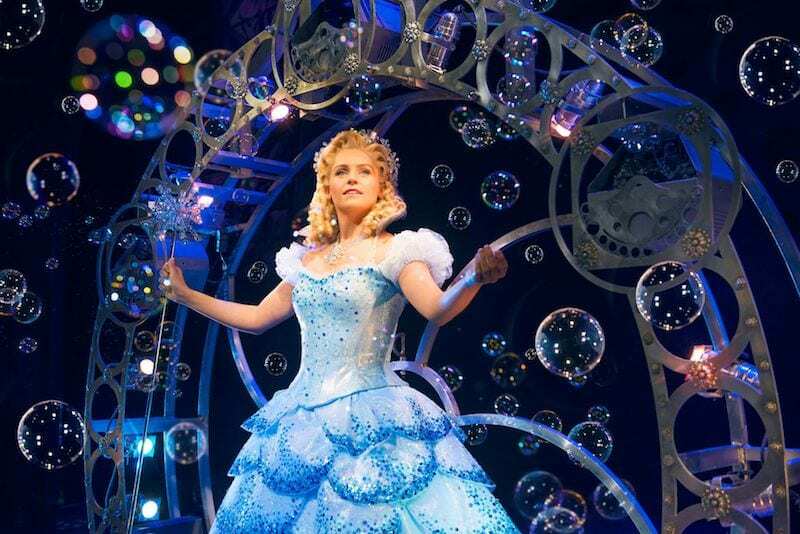 While Glinda is generally power driven, irritating and abit dense at times, there is good in her and that is clear. Helen Woolf balances this well through her performance. Successfully making the role her own. She doesn’t fall into the trap of emulating the ‘well known’ previous actress. Which given that this role is quite typical of the roles that Chenoweth plays, could be quite difficult to avoid. But Woolf puts her own stamp on Glinda and delivered a flawless performance at the Palace Theatre Manchester. Unexpectedly brilliant performance from Aaron Sidwell. An unexpected star talent comes from Aaron Sidwell. But then soap stars never really do receive high expectations in advance of their theatre stage performances. 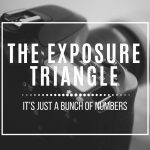 They generally have to work a little harder to prove themselves. 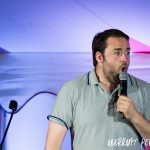 But Aaron’s theatrical and singing talents hit the audience immediately. He is very comfortable in the role of Fiyero. He is cool, collected and his delivery leaves everyone swooning, wishing he was on stage more. Especially whilst he is singing, which is utterly wonderful to listen to. The rest of the cast are all equally flawless in their performances. Nessarose played by Emily Shaw and Boq played by Iddon Jones are notably brilliant. Their chemistry is great, and their ability to deliver their smaller roles with a memorability about them is what makes them brilliant. Wicked is not to be missed. The story is full of twists and turns to a story everyone thought they knew. Also you’ll be rushing out to get the soundtrack immediately after the show. Wicked at the Palace Theatre Manchester. 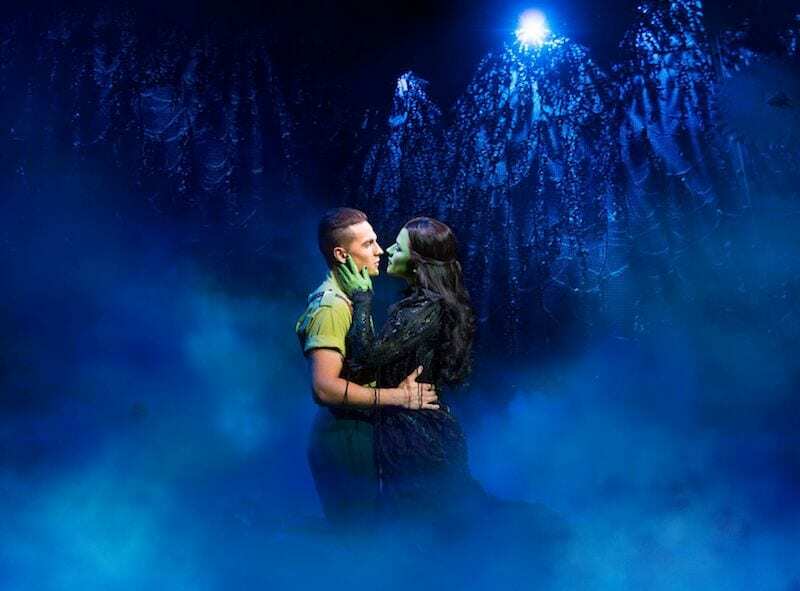 Wicked is running daily at the Palace Theatre Manchester until 5th January 2019.